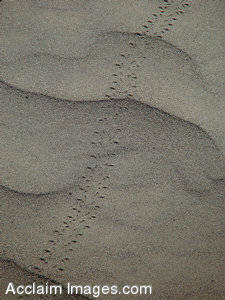 Description: Stock Photo of Bird Tracks in Death Valley. Bird tracks are found along sand patterns in Death Valley, California. This photo is available as an art print or poster and may also be licensed as stock photography.